Meet the Techs - Frederick Air, Inc.
We’re proud of our technicians. Every day they provide the same great customer service that we’re known for. These are the folks who will be showing up at your door, and we wanted you to have a chance to meet them beforehand. 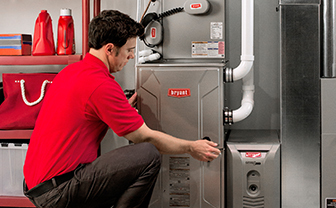 If you’re looking for a long-term relationship with a strong company that will be here to service your system for service to come, you’ve come to the right place. Our certified technicians will always show up to your door in one of our Frederick Air vehicles, a proper uniform, and their name badge clearly visible. 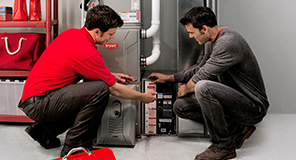 That’s the kind of service you should expect from a great HVAC company.